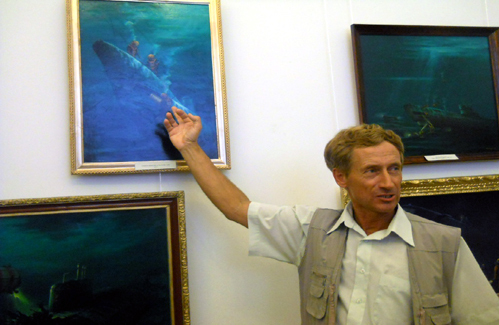 Our friend Andreï Loubianov, famous painter of the Russian navy and a former naval architect specialist of the VMF rescue submarines, exposed his works this summer to the museum of the Fine Arts in Sevastopol, not far from the famous Nakhimov square. 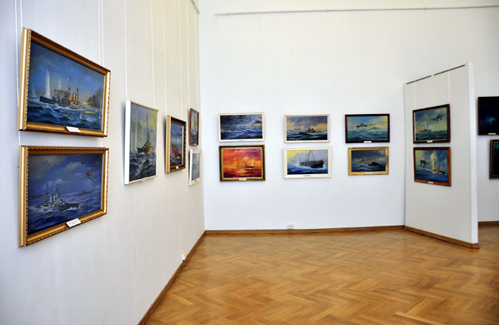 It was the opportunity, for the sea- and the maritime history lovers, to meet around these suggestive paintings tinged with a profound realism. 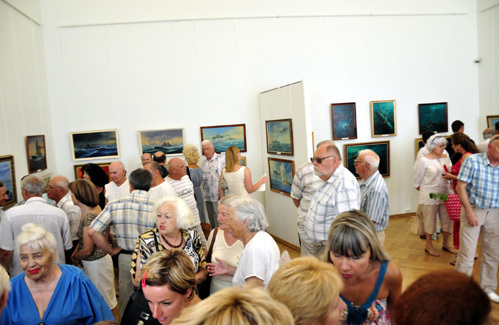 Other magnificent paintings, signed Andreï, are to discover to the section Portfolio. 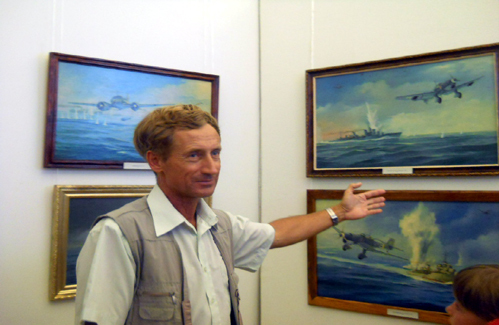 Andreï and some of its masterpieces, during the varnishing of the exhibition (A.Loubianov). 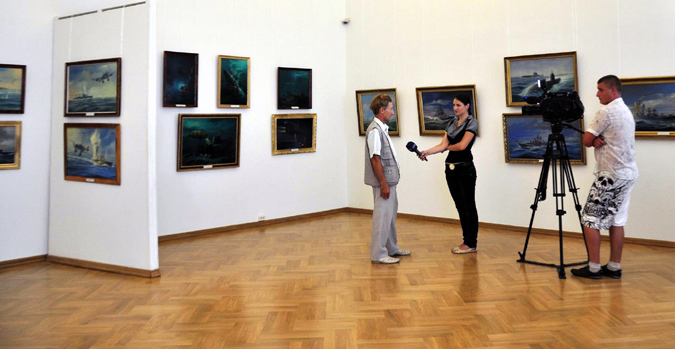 A room richly decorated which does not delay filling (A.Loubianov). 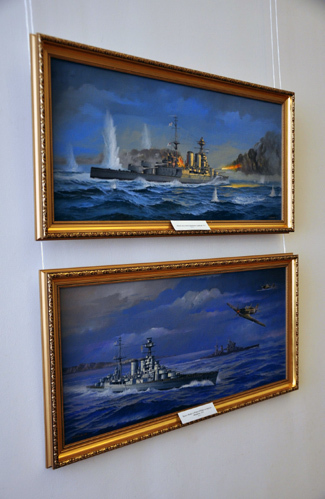 Some of the magnificent paintings which did not miss to appeal many media (A.Loubianov).